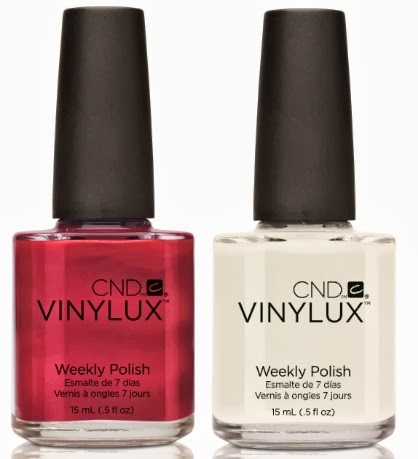 CND Vinylux Weekly Polish - $11.90 - a breakthrough polish that endures a week on your nails - without a base coat! 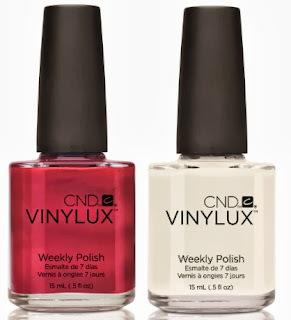 Unlike other polishes that become brittle and deteriorate over time, Vinylux has patent-pending technology that creates a powerful network of cross-linked polymer bonds that build resistance to chips and enhance durability with exposure to natural light over time. 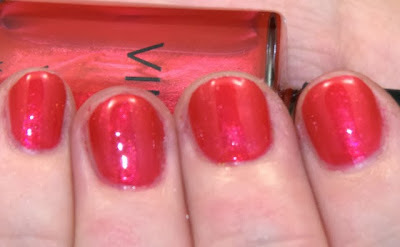 Also available is a Weekly Top Coat - designed to work with the polish. Available in 62 shades - 40 of which match popular CND Shellac shades making it easy for at home touch-ups. Available at salons and at Trade Secrets. Studio White - I love the look of opaque white polish but don't usually bother because it looks so awful when it chips - I've had it on for 5 days now without a chip to be seen!